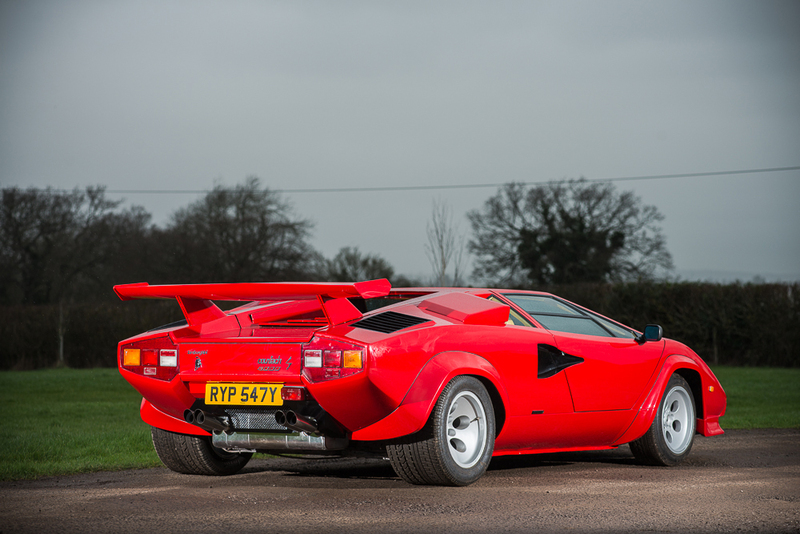 A 1983 Lamborghini Countach LP500S that achieved 12 speed records will be offered for sale by Silverstone Auctions. The car is one of only 25 examples madeand will be offered at auction with an estimate of £325,000 to £350,000. The auction takes place at Race Retro, Stoneleigh Park, Warwickshire on 25th and 26th February. 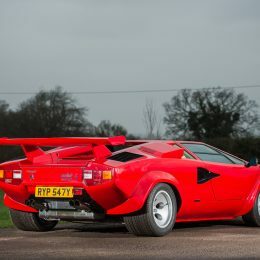 Silverstone Auctions will offer a rare 1983 Lamborghini Countach LP500S with an impressive 12 British Outright Speed records at its Race Retro Classic Car Sale this month. 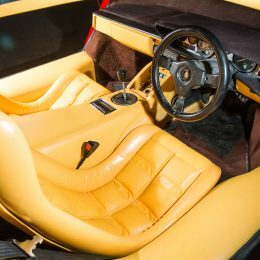 The rare, right-hand drive, UK delivered Countach LP500S is one of only 25 examples made and was first owned by racing driver and Lamborghini aficionado Barry Robinson. On 15th October 1983, Barry Robinson and his co-driver, Alex Postan set a series of 12 British speed and endurance records for production cars with this very Countach, lapping Vauxhall’s Millbrook test track at 180mph for extended periods. Chassis number ‘12550’ was also tested by Car magazine whilst it was owned by the racing driver as part of a feature to examine the fastest four road cars money could buy in Britain at the time, with the Countach up against the new Boxer, 911 Turbo and Vantage. A copy of the article, which appeared in Car’s April 1984 edition, is included in the sale. The car was sold and was acquired by its current owner in July 2014. 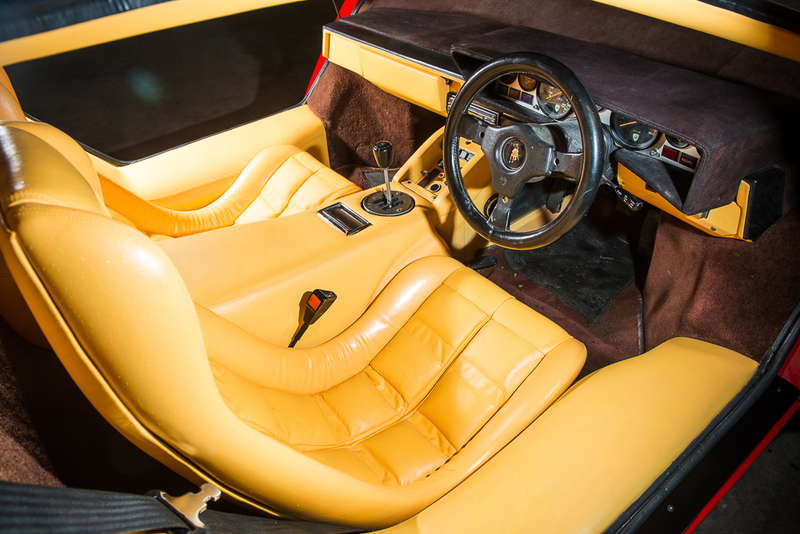 Having been kept in storage for the previous 10 years, the new owner has invested heavily in returning the Lamborghini to the condition it is in today. The works included remedying minor mechanical ailments, new door glass and windscreen, tyres and battery. More recently, in June 2016, the car was treated to a glass-out / trim-out re-spray. 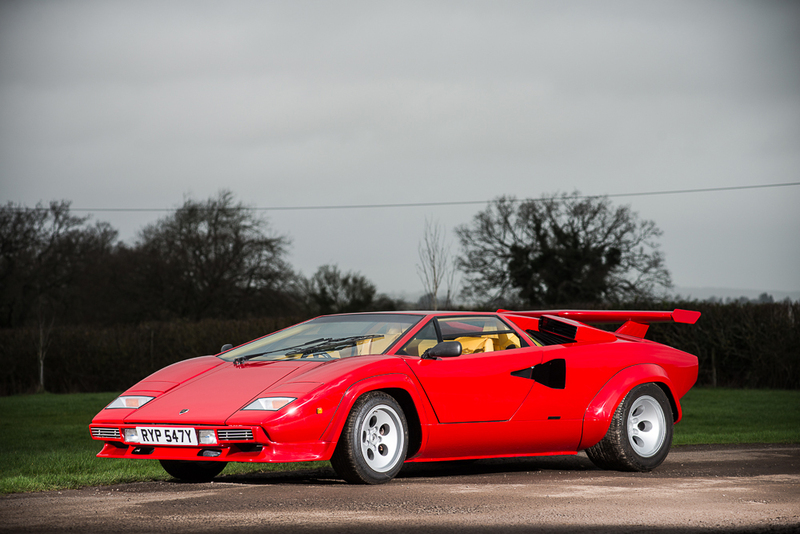 Today the Countach presents in very good condition, finished in red paintwork with a tan leather interior, and will be offered at auction with a sale estimate of£325,000 to £350,000. “This fabulous LP500S has a lot going for it. As one of only 25, or possibly fewer, it presents a unique opportunity to collectors and we encourage interested buyers to contact us early,” concludes Lees-Milne. Included with the car is the history file included detailed invoices of works completed along with the MoT certificate, magazine articles, manuals and service records and information about the RAC Speed Records. 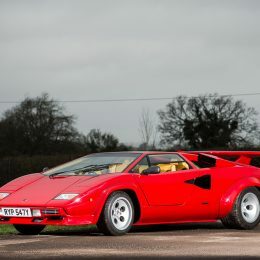 To find out more about the Lamborghini Countach LP500S and Silverstone Auctions Race Retro Classic Car Sale please visit http://www.silverstoneauctions.com/1983-lamborghini-countach-lp5000.